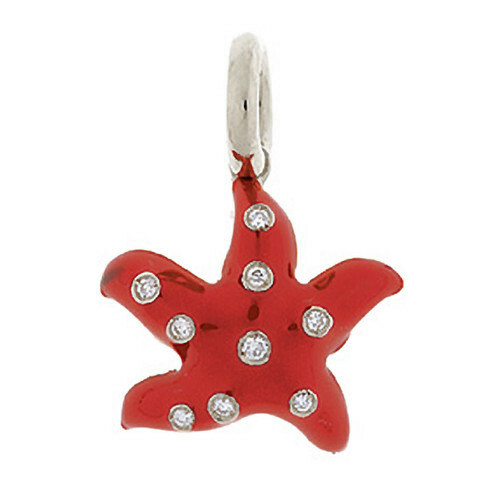 Represent your ocean lifestyle with this fiery starfish charm from the Sealife collection by Aaron Basha. Coated in a red hot enamel, white diamonds speckle this adorable 18kt white gold piece. This Aaron Basha charm will perfectly accent the seaworthy aspects of your life on any charm bracelet or necklace!